President Donald Trump's reelection campaign last week announced its first 2019 Make America Great Again rally, set to take place in El Paso, Texas on Monday. 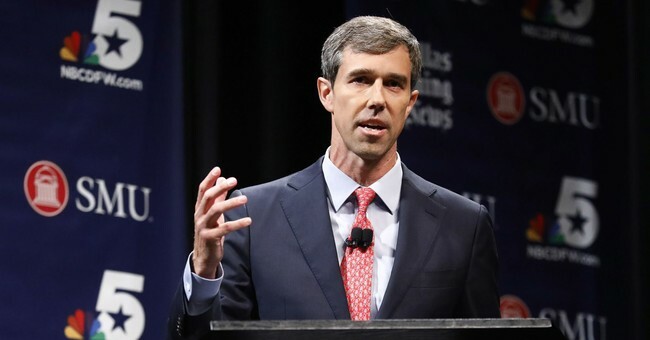 Democrats have now planned a counter protest and who better to headline the event than El Paso native and failed senatorial candidate Beto O'Rourke? “Beto O’Rourke will join with his city on Monday evening to show the country the reality of the border -- a vibrant, safe, binational community that proudly celebrates its culture, history, diversity and status as a city of immigrants,” O'Rourke's team told The Hill in a statement. “While some try to stoke fear and paranoia, to spread lies and a false narrative about the U.S.-Mexico border and to demand a 2,000 mile wall along it at a time of record safety and security, El Paso will come together for a march and celebration that highlights the truth." According to an event on Facebook, the counter protest is called "March For Truth: Stop The Lies, Stop The Wall." Part of the group's goal is to challenge Trump's previous comments on the city. The counter protestors believe Trump's assessment of El Paso is wrong. "El Paso is a strong and safe community because of its people and its values. Border communities are a place of opportunity and hope. Trump’s fixation on a border wall and his distortions of life in El Paso and along the border are unacceptable," the event description reads. "Our communities will always stand to include immigrants, oppose racism, and defend the truth. All of us must make a choice about whether we stand up for the truth or allow Trump to degrade our dignity and rights." The event is sponsored by the Women's March El Paso, Texas Democratic Party, Border Network for Human Rights, United Campaign, El Paso County Democratic Party, ACLU Border Rights Center, Borderland Immigration Council, Hope Border Institute and Detained Migrant Solidarity Committee.